Someone is waging a systematic war against beards. I don’t know who, but I suspect whoever is responsible is a pawn of global capitalism, which puts its machinery behind the elfin androgyny of a Miley Cyrus or a Justin Bieber, neither of whom could sport a beard if they wanted to. Granted, I know that beards aren’t popular with a lot of people. 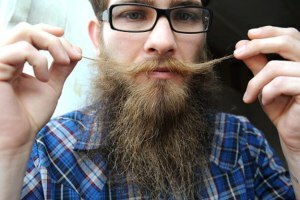 If I’m out with somebody and the topic of “hipster beards” comes up, it’s so they can be ridiculed. Personally, I don’t mind that men are sporting them, but I’ll admit: I’m surprised they’re “hip.” When I grew a beard like that, it was a clear sign that I was someone to be pitied. Perhaps that’s why I’m OK with them. I like to think I was way ahead of the curve on this one. Thirty years ahead of the curve.